The estimated building cost was listed as $6,000 on the building permit when this house was built in 1900. The original owner of this home owned a dairy on Golden Valley Road, on the western edge of the city limits. This dairy was eventually bought by the Ewald Brothers, and was a well-known business in Minneapolis for many years. The current owner has constructed the carriage barn in the back to reflect the style of the house. If this house looks familiar, you are very observant! You may have noticed that it is a virtual twin of 1425 Dupont Avenue, which you saw earlier in the tour. 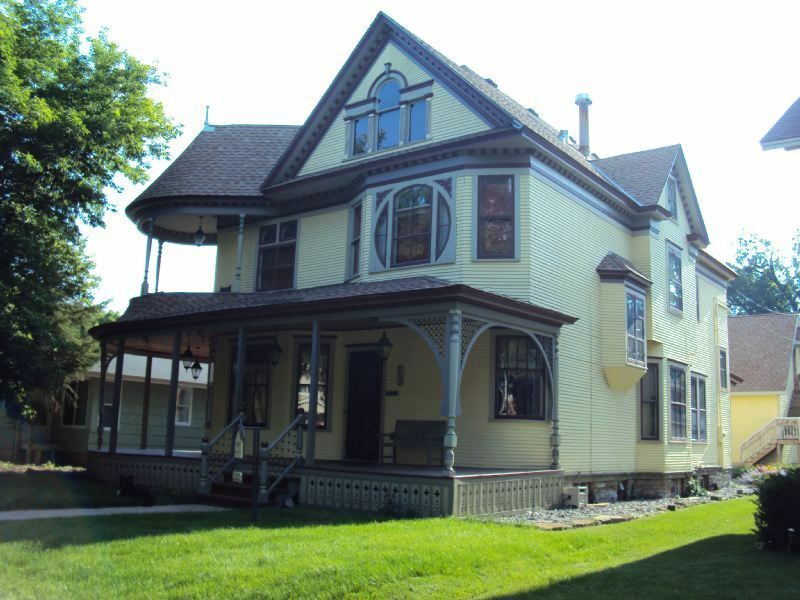 Both houses are rare examples in Minneapolis of a high-style (or more formal) Queen Anne. 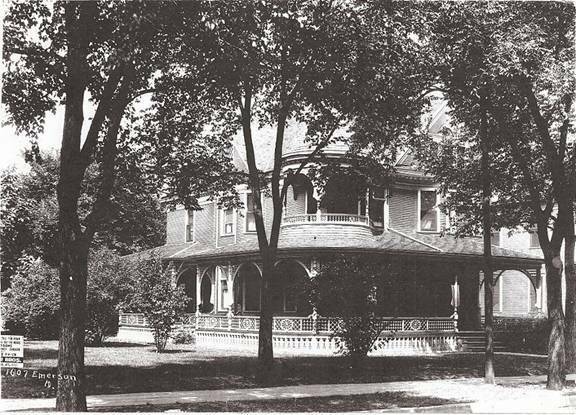 The Queen Anne features of this house include the rounded southeast corner; the projecting first-floor bay; the wraparound porch; and the conical second-floor deck roof. This front-gabled structure has a steeply-pitched roof with wide eaves. Note the dentils at the cornice line and the decorative frieze. There are bay windows on the southern portion of the first-story east façade, and patterned boards in the gables. The house is covered with narrow lapped siding. The wraparound porch is full-length with Eastlake detailing and spindlework columns. The original columns have mostly been placed with square posts, but you can still see two original lathe-turned columns at either end of the porch. Abutting the columns are curved spandrel panels with a slight flare, and the center of the panel features a lattice of criss-crossing round dowels intersecting round balls. The skirtboard panels are scroll-cut with a similar decorative pattern as 1425 Dupont. The second-story balcony completes the tower, and note the Moorish arch encircling the dominant front window on the second floor, including its curved transom and sidelights. The north façade features cutaway bay and oriel windows (windows projecting out from a house that are supported by corbels or brackets). The attic floor has a very elaborate Palladian window with lapped siding on both sides. Sunburst-patterned lapped siding appears in the pediment, radiating from the center of the arched window. Note the interesting decorative feature of the gable roof soffit: The frieze wraparounds have a rope pattern of alternating quarter-round and ribbed sections, with a typical dentilated band at the bottom part of the frieze. 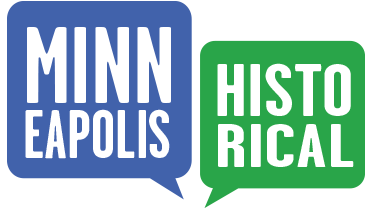 Old Highland Neighborhood Association, “1607 Emerson Avenue North: Henry S. Miller House,” Minneapolis Historical, accessed April 18, 2019, http://minneapolishistorical.org/items/show/34.